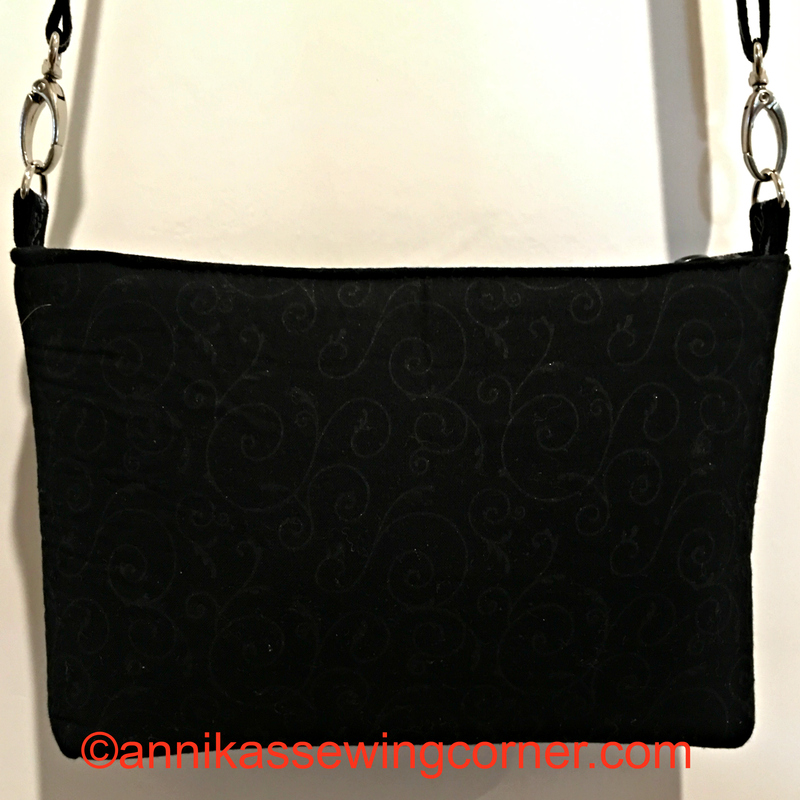 This past week I have been working on this cross body bag. I am quite happy with it and maybe with some more work it will be another pattern or at least a tutorial. 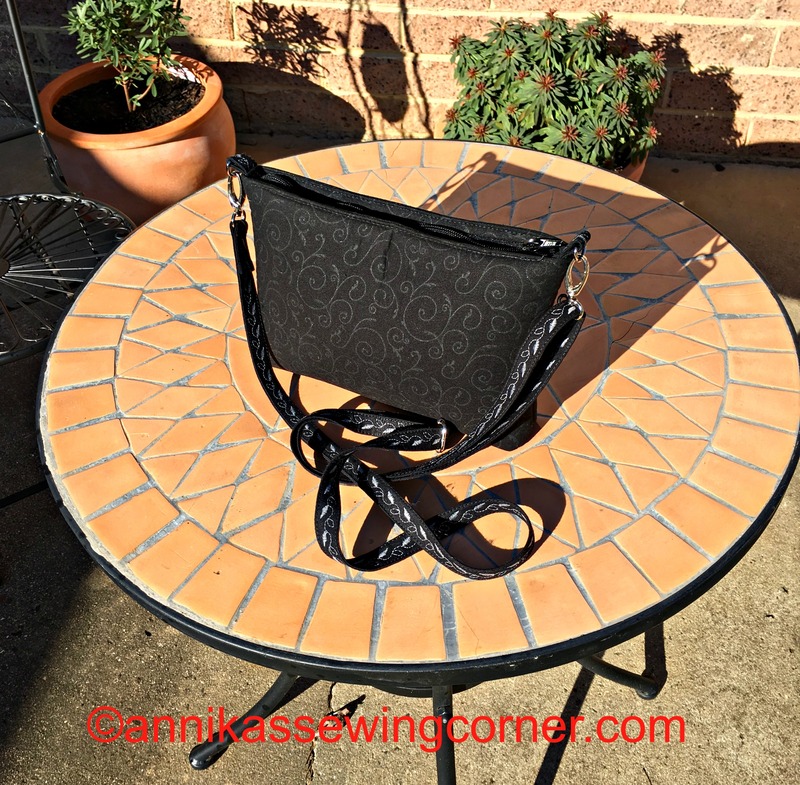 It measures 8 1/2″ x 6″x 1 1/2″and has a long strap that can be adjusted to wear on the shoulder or as a cross body bag. 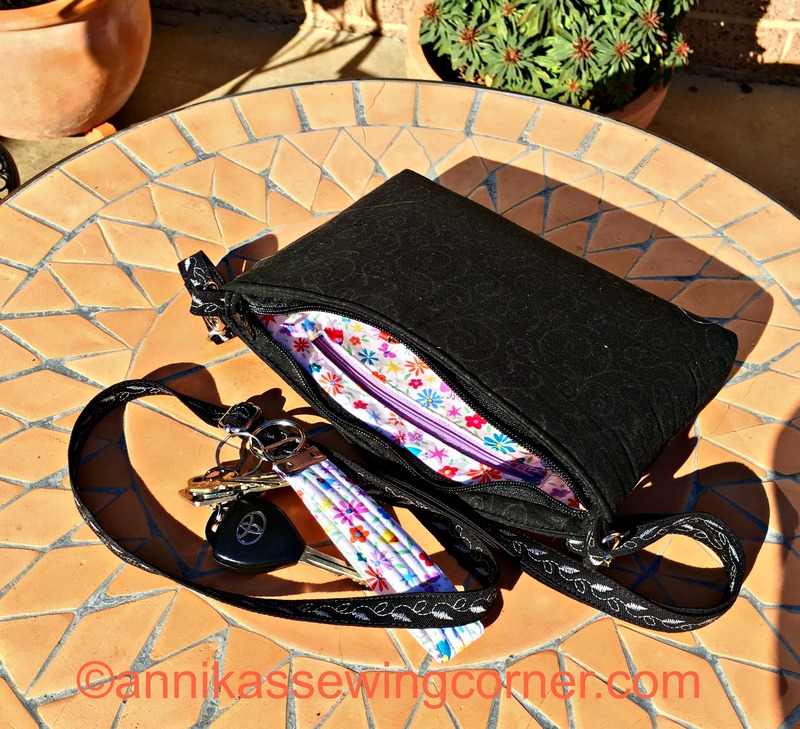 It has a recessed zipper which was a bit fiddly but turned out really well. 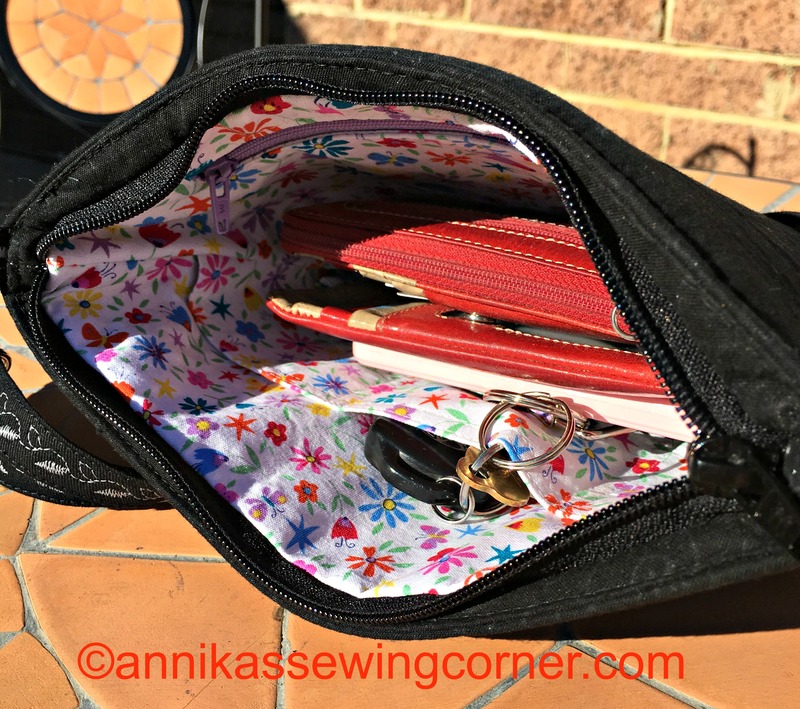 The lining has a zipper pocket on one side and a slip in pocket on the other side. 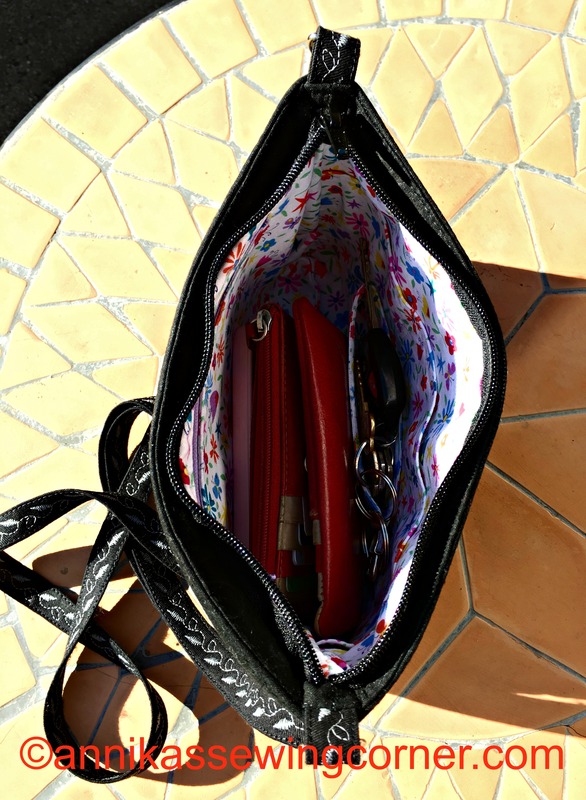 The slip in pocket can be divided into smaller compartments. I also made a matching key fob. 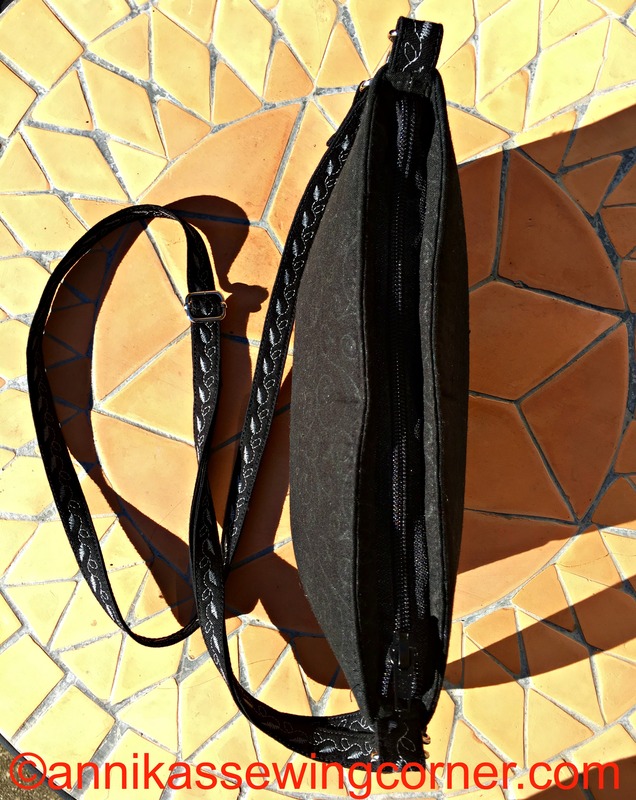 The strap is made of plain black cotton drill that’s folded first in the middle lengthwise and then the raw long edges are folded in to that crease. 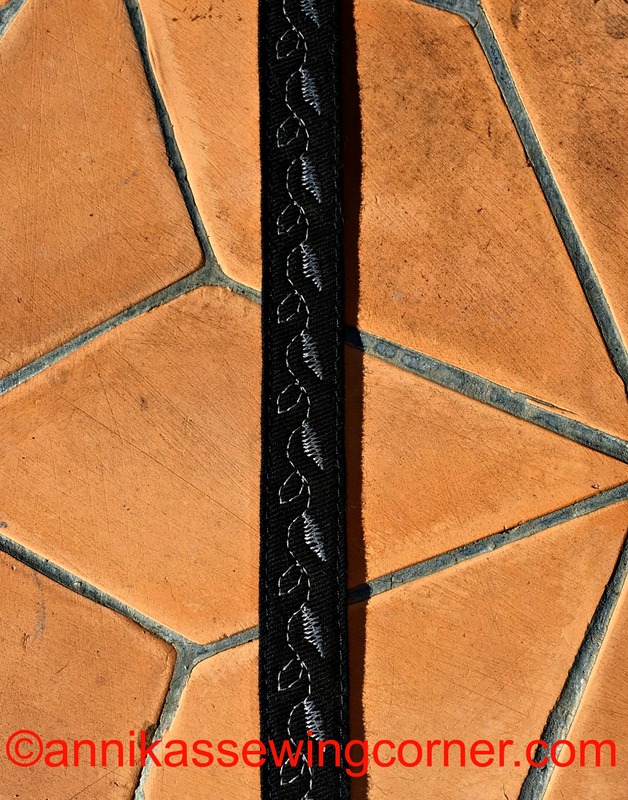 I top stitched along each long edge in black and then made a decorative stitch in light grey to match the silver hardware. The outer fabric and lining is made of quilting cotton weight fabric. I also used foam stabilizer for the first time and that turned out really well, a bit pricey but not much worse than using interfacing and iron on batting on top, which I usually do. Until next time Happy Sewing and Take Care from Melbourne.